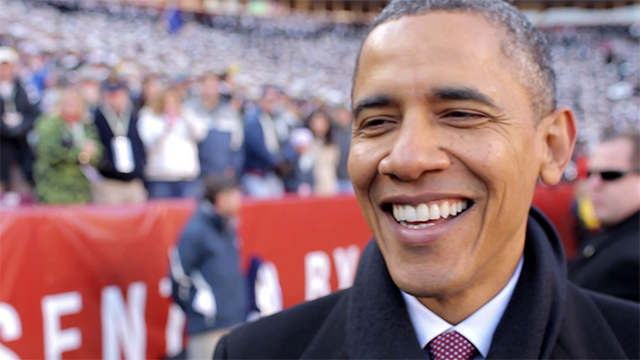 In the documentary and television world, we see interviews all the time. It’s the long sided interview! While the long sided interview is what you will see most frequently in documentaries, you will also see filmmakers (especially when first starting out) choose to do a short sided interview without really thinking about how it relates to the content or how it makes the viewer feel. So… what exactly is the long sided interview, how do you set it up, and why is it often the best way to go? What Is A Long Sided Interview? 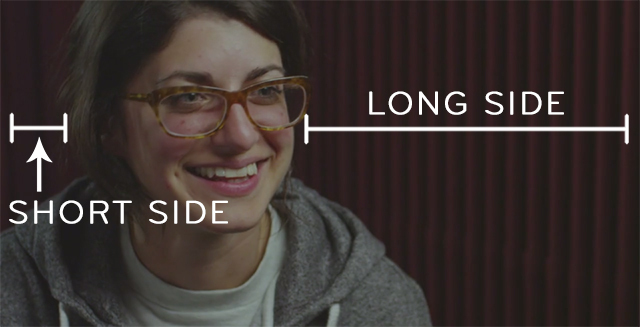 Understanding how to compose a long sided interview starts with understanding the difference between the long side and short side of your frame. So let’s say you’ve got a single character on screen for an interview. Now you must identify the space to the right and to the left of their head — the space that is LARGER is considered the long side, the space that is smaller is the short side. In a long sided interview, the subject is looking slightly toward the long side of the frame. How Do I Set Up A Long Sided Interview? For a pleasing long sided single-person interview, you generally want to have your interview subject’s eyes looking a few degrees off the center of the lens looking towards to the long side. Position the camera at about the same height as the interview subject’s eyes. Have your interviewer sitting or standing close to the camera on the same side as the long side. Position your key light source on the long side of your interview subject’s face, with your fill light source on the short side. These are not absolute rules, but they are very common in single person interviews. For example, you could place your camera higher than your interview subject’s eyeline because you want them to feel smaller on screen or because it’s a more flattering perspective for them. Or, perhaps you create a harsh lighting plot to convey a feeling of tension and gloom. Whatever your scenario, we always advocate creating a composition that best fits your story and how you want to convey your characters. Why Is Long Sided (Usually) Best? A long sided interview generally feels pleasing to the viewer’s eye. Having the interview subject look towards the long side creates a feeling of balance and comfort for the viewer. Speaking towards the long side of the frame also allows for thoughts and ideas to be communicated in a way which does not block their transmission to the interviewer, and thus the viewer. Despite knowing these basic rules, you’ll still see short-sided interviews out there. Often times filmmakers will go this route for no reason other than mixing it up. Our thoughts on this… short sided interviews are usually not the right choice! Short sided interviews make the viewer feel tense and awkward — the subject is looking out of frame and they feel very closed off. Unless this is the feeling you’re going for, there’s really no reason to be doing a short sided interview. Think about how it makes you feel if you were talking out loud towards a large open space like a living room vs talking your ideas towards a wall. One makes you like you unrestricted and grand, while the other makes you feel tense and confined. But wait… what about center composed interviews? Center composition is the second most common type of composition for interviews. We center compose interviews when we want the viewer to make a very strong emotional connection to the character. You see interview subjects centered composed very often in reality TV shows, news reporters in the field, and situations where the subject is delivering a very direct message to the viewer. When we create center composed interviews, we like to have the interviewee looking directly into camera. Center composition looking directly into the camera is also very prevalent in tutorials. However, tutorials are typically scripted – they are not interviews. Center composition is a very powerful story telling tool. Know when you want to choose it and why! 1. It’s a compositional choice that is often congruent with the way that we want the viewer to feel about both the content of the interview and the interview subject’s personality. 2. Short sided interviews often feel very awkward and create unnecessary tension for the viewer, which is ultimately very distracting and will take away from the story you’re trying to tell. More than anything, we’re advocates for making compositional choices based on the story we’re trying to share from the interviewee — not just for the sake of visual variety (i.e., randomly throwing in a short sided interview). What are your general guidelines on the 2nd camera? I generally have the 2nd camera in very tight (from forehead to below the chin) and at more of an off angle to the main camera. And sometimes I frame the shot so their long side is opposite to the main camera’s long side. I’m curious how you all do a second camera? These are very useful information. I recorded a mini documentary recently and used similar guidelines but when I put the key light towards the talent’s face on the long side, they complained so I ended up putting in on the short side. It did not look good after all… So, how do you guys overcome this problem since the light is pointing towards the same side the talent will be looking at? Also, I often find myself juggling the directions to which to put each talent facing at when I have multiple talents for the same documentary. How do you guys go about deciding which direction to point to? Do you try to balance it? One left – one right – one left, etc…? Does left or right pass on different messages? Can you post some other potentially interview setups? And bad looking ones? Great info guys, keep up the great work. If I’m shooting a wide and a tight on an interview, I’ll almost always have the tight camera closest to the interviewer, and the wide next to that – it usually makes both shots look very similar in terms of how off-center the interviewee’s eyeline is. 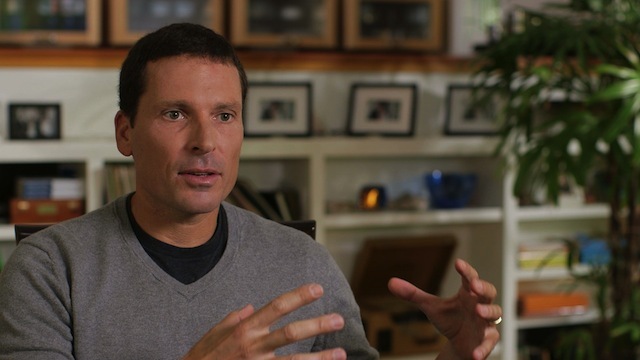 If you switch them, so the wide is closest to the interviewee, the eyeline looks very different on the two shots – the subject appears to be looking waaaay further off-center in the close shot. But that’s only if you want continuity between the shots. Sometimes it’s nice to have the 2nd camera give you a totally different option. This is great. I’ve been taking the ‘Take Action’ course and the ‘long side’ thing was mentioned more than once, but it was hard for me to have totally straight in my mind because the concept was so new to me. I thought I understood it until I got out to a complicated shoot, and then I had a little trouble figuring it out. Great post thanks. Quick note about the stand with me interview comp: I think the background is way too much. I think it could have been improved by removing the photo frames on the shelf, and maybe closing the lid on the record box. The light is really really soft. What kind of light and diffuser was used for this? As always, we appreciate the feedback. Just remember, we’ve been living in this story for 9 months so a ton goes into choosing how we light and frame any interview we do. While some comments may help make it ‘better’, we try to use story more as our guiding principle. For us – this story is all about environment, and those picture frames – while they may seem like too many – also say a lot about the family and place where they came from. It all matters. Thanks for the excellent information! Love your site. What tips do you have on helping the talent be more relaxed on camera? I am partly serious. Of course, alcoholic drinks allow people to feel more relaxed in small quantities and if my talent drinks I do give them a small amount to get rid of any nerves they might have. But I mean, get them to hold any sort of beverage container, below frame. People usually have a beverage of some sort in their hands when in social situations. I find that they relax a bit when you give them a glass/cup/can to hold because it’s comforting. Here, all the interviews are positioned quite off-centered, only we see the 3rd person on eye level, looking close to the camera, but right away he is cut to a quite different angle shot. All the others are above eye level and sometimes extremely off-centered. But it still works, I don’t feel myself uncomfortable with it. But I can’t explain myself why. Can you help me to understand? Why you choose different angles here than as described above and why does it work? Awsome!always learn some things from stillmotion,thx a lot. And for personal view,I felt that the short sided interview can used to delivery some very powerful or personal suggestion in some ways.And add some short sided composition into the long sided one can meek the talking be more exciting,like the Apple’s promotion video. I once shot an interview with an old lady who was talking about war, destruction, and so on. I framed her on the short side, because I felt it was better. Storytelling: The Protagonist always (well mostly) enters the scene from the left and exits right. The antagonist is reversed. In important scenes the Protagonist enters and has the scene in the middle of the frame, then exits right. Importance is given to the middle of the scene/frame. The long-side style of interview lends itself to the cine-style of storytelling. We, the viewer, are the “third person” in the interview. We are the fly-on-the-wall, watching the narrative unfold. We are observing the scene/interview when the interviewee is speaking. We only become involved when the interviewer turns to us to explain the next scene or interview. We then are a participant, but only in the second person. This changes our “distance” from an observer to the second person. The distance changes again when the next interviewee begins to speak. These are some of the reasons (the formula) why the long-sided interview works so well. Never heard of “Long and short side composition”. Did you guys just made up this composition term? …cause it basically just following the rule of thirds. Awesome blog once again! What mm lens would you recommend for interviews? I always end up confusing myself. I’ve be using a 24mm on a 7d, but don’t feel it’s quite right, feels a bit wide. Remember that 50mm is roughly what our eyes sees, so ‘normal’ is about a 35mm on your 7D. Wider than 35 will be more exaggerated and comedic – fitting for some things but rarely an interview. Longer lenses are more compressed, which can be flattering by minimizing features, and is also more dramatic through the depth of field. I was looking for information like this just before I started shooting corporate video for company I used to work for – now I’m in the middle of editing it. I wish you have posted this few weeks ago:) Great post, very useful and simple guidelines how to make the interview look good. You made me smile for a second because the interview’s setup I made is almost the same as the one you mention in the post. I decided to follow what I felt was right and it looks like that was the way to go. I’m looking forward to new posts. I love your blog! Question though. How does this change the feel of the interview? I noticed it in your videos where you’re most likely using a monopod for the interview instead of a tripod. What I really like to see is when using long sided composition ,is when the film maker will add elements that add story and depth to the interviewee. Sometimes you can see things like posters, pieces of art or even a graphic on a computer screen, that convey a little more about the interviewer. I know it can seem kind of obvious or not very subtle, but in my mind it adds a cohesiveness to the rest of the story that is being told in the film. Who wants to do what everyone else does? I would like to hear your opinion about this! Hello, do you have an example of both cameras, a still of both your frames? Thanks!